Informational Interviews often revolve around "grabbing coffee", but also may take place in an office. I know you think Informational Interviews are those blind-date adjacent things your Mom keeps setting you up with whenever you're home. However, don't give up on them yet! I've found Information Interviews to be one of the most important tools in your job-seeker arsenal. 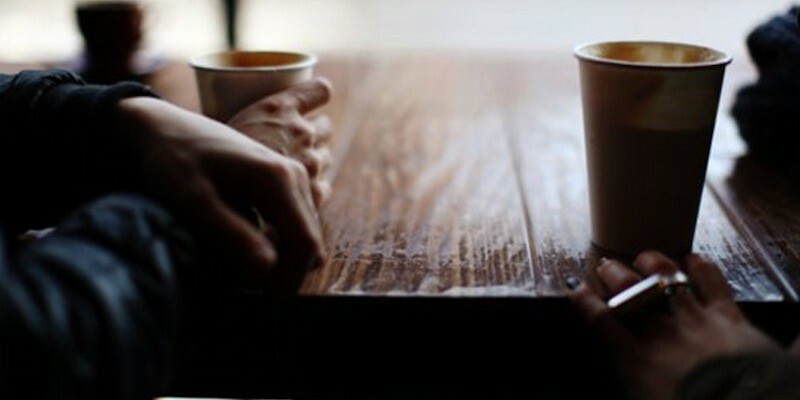 The job or internship of your dreams may be just one coffee date away. 1. The Industry is notorious for being all about connections. Informational Interviews allow you to pick and choose who those connections are - a must have in sectors of the industry where internships are few and far between (Casting, Sound Design, etc.). All it takes is a little research, a list of companies that you would like to work/intern for, and a strong persistent nature. 2. It shows your best side to a potential employer. 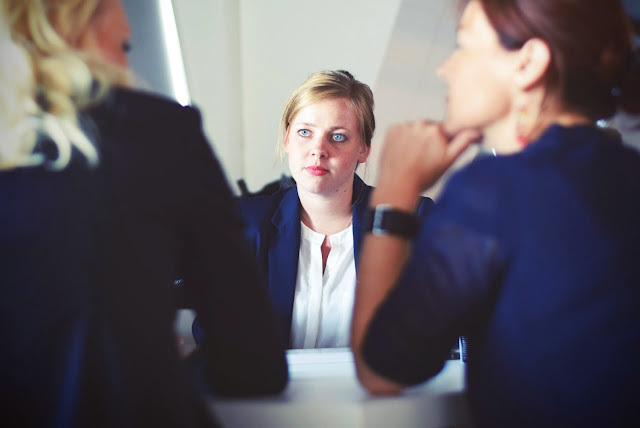 If you manage to set up an informational interview, you have shown that you are persistent, knowledgable about the company and the competitive space they operate in, and truly interested in working with them and hearing what they want to say. Informational Interviews can take months to set up, especially with executives, but they are so worth it. You could be offered an internship or job on the spot. There's two ways to score an informational interview. One way is through your current connections and requires only a small effort on your part. The other way is 'cold contacting' through Linkedin and Google Search. Obviously, this requires a large amount of effort and research. However, it can be equally as rewarding as if you knew the interviewee through a secondary connection. This type of informational interview is most like the ones your Mom tried to set up. It requires reaching out to your connections so they may introduce you to their peers. The best people to reach out to are Past Internship Supervisors as they are often interested in your career development. If you succeed, it will reflect well on them. Step 1: Reach out to Past Internship Supervisors or other connections. Make sure you have spoken to them within the past three months. Step 2: Send them an introductory email that gives them an update on what you've been up to, any projects you are working on, and any internships/jobs you currently hold. Step 3: After sending an introductory email, arrange to meet with them in person or continue your correspondence via email. If they end their previous message with a courtesy "any way I can help", you may move on to step #4. Step 4: Explain your career goals and express an interest in meeting some of their peers that work in certain sectors of the industry. For this, it is helpful to have a particular person or company in mind that your connection has worked with. However, it is not necessary. Step 5: If your connections puts you in contact with someone, you owe it to them to follow up, follow up, follow up! Persistence and patience will get you that informational interview, eventually. 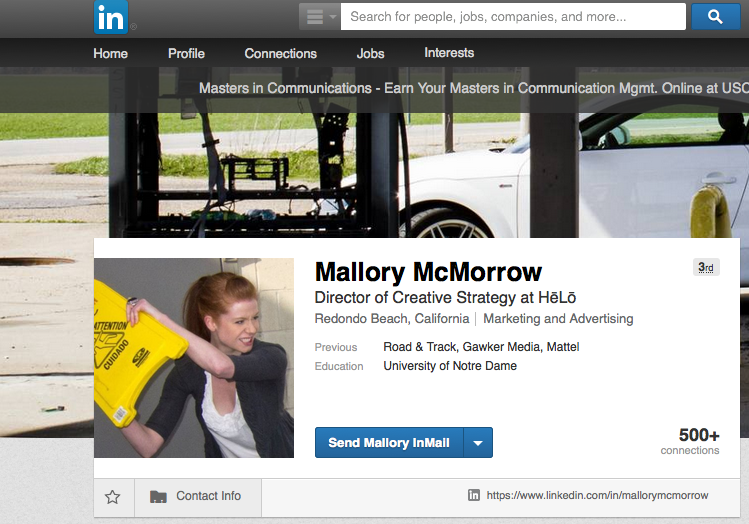 LinkedIn is the best tool for finding people in the industry you want to work/intern in. This type of informational interview can take a lot longer to set up. However, it allows you to pin point particular contacts at the companies you are most interested in interning for or working for in the future. Step 1: Create a list of about 10 companies you would love to work for. I'm talking dream job prospects. It's best to limit the list to about 1-2 big companies (i.e. Comedy Central), and fill the rest with smaller startups and medium sized studios. This is because it can be a lot harder to contact and set up appointments with larger corporate companies. Step 2: Work your way through each company individually in order to find the perfect candidate to contact. I cannot stress this enough. You need to focus on setting up one individual interview at a time as setting them up requires constant emails and scheduling. You can use Linkedin or the companies website to locate the perfect connection. DON'T CONTACT THE CEO. They will likely be too busy to meet with you, don't have interns of their own, and are not really in a hiring position. Aim for someone with the job title that you may someday want. They may be the head or manager of the department you hope to hire into. As a general rule, make sure they are not more than about 10-12 years ahead of you in their careers. That way they can still remember what that initial job search was like and will be game to assist you in yours. Step 3: Once you have located the person, the research stage continues. Look at their personal website and find things that inspire you, that you find interesting, or things you may have in common. For instance, they went to the same college as you or you both are obsessed with fonts. At this point, also take the time to heavily research the company. You should know what they do, how they do it, and, most importantly, how they make money. Step 4: Craft the initial email. It should showcase your excitement for what they do and the company they work for. You want to convey that you wish to learn about their industry, not that you're asking for a job. You should be mindful of their time in both asking for an "informational interview" or to "meetup" and in the length of the email. It shouldn't be more than four paragraphs. Make sure to watch your grammar and spelling. DO NOT ATTACH A RESUME AT THIS POINT. However, include your entire name and briefly mention the experience you have had in the field. If they want to, they can look you up on Linkedin prior to the interview. Keep it brief and fun. Step 5: If they don't get back to you right away, you can send a follow up email. At this point, you are just trying to show them how excited you are to meet them and learn from them. If they do respond positively, just keep actively trying to set up a date. This can often be the longest stage in the process. However, patience is key at this point. Remember they are a lot busier than you. If they do not respond positively or haven't responded after three emails, you are more than welcome to move on to another contact. Quality, not quantity, is key in requesting informational interviews. And you'll be surprised to find many people are more than willing to help you out.